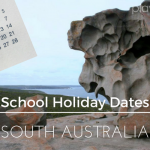 Your handy reference guide for South Australia school holiday dates and public holidays (and the other states as well). Check out the Australian Government site for more information on the school term dates for this year and next year, for Australia’s state and territory government schools. At Play & Go Adelaide we make every effort to provide accurate information to the best of our knowledge at the time of publication.